The following testimonials were written by some of my happy sellers and buyers. They have all been kind enough to give me permission to show you their correspondence. Their letters and words are very gratifying, I hope you find them helpful! "A Realtor of the highest calibre, Mikaila is perfectly organised, friendly and shows incredible attention to detail. As a new resident to Canada, my mortgage limitations were subject to a great deal of change during the viewing stages. Mikaila was able and more than happy to adapt to my situation whilst tirelessly seeking out new opportunities that fit my criteria. Once the sale had completed, Mikaila went a step further and provided ample services' information and even went so far as to recommend and assist with furnishing the property. Mikaila receives my unreserved recommendation to any future buyer." "Mikaila helped my husband and I find a house recently, and she made the whole process so painless! We trust her wholeheartedly, and could tell that she had our best interest in mind. We looked at many places together, and she was always punctual and prepared - with all the answers to our questions. While being very professional, she is also very easy to talk to, and will ensure that you understand all of the new home-owner jargon etc. She followed our lead while offering thoughtful suggestions and ideas. I would definitely recommend Mikaila to my family and friends (and anyone and everyone!) - she's simply fantastic!" "I have only high praise for Mikaila. My experience finding a condo in Victoria was unlike any other I had experienced in the past. I found it to be extremely challenging, and by the time Mikaila began working with me, I had almost given up. In fact, the at the exact time she called me, I was sitting in a coffee shop deciding if I wanted to continue my search for a new home in Victoria (a long time dream) or give up and stay in Vancouver. I was strongly leaning toward giving up. However, I took the call and Mikaila seemed very knowledgeable and she patiently answered my questions and provided some fresh ideas to consider about areas of focus. I decided to give the process one more go and see if Mikaila could help me. One (more) visit to Victoria later and I found my place! Mikaila went above and beyond what I expected by networking and finding a property that is just perfect for me but wasn't even listed on MLS yet! We were able to negotiate the price and terms with the potential seller and complete the deal relatively easily. As I sit here writing this on my new balcony looking out at the peaceful view, I am filled with gratitude that Mikaila took the time and put in the extra effort to find something that really works for me. At all times Mikaila was professional, highly knowledgeable, friendly, and positive, making the buying experience easy to navigate. She answered all of my questions, even well after the deal was complete. I would recommend Mikaila to anyone looking for a property in Victoria and would definitely user her services when the time comes to buy or sell again." "If you are looking for a genuine and professional realtor who not only cares about your needs, but cares about you as a person you've found her. Mikaila was not only fundamental in helping me secure a property at the price I wanted (tough to do in this market! ), she was very compassionate with me as I underwent a stressful time. As well, she is extremely knowledgeable and will take the time to give the information you need to make a sound offer. I could not be more happy with the service I received - I recommend her to everyone!" 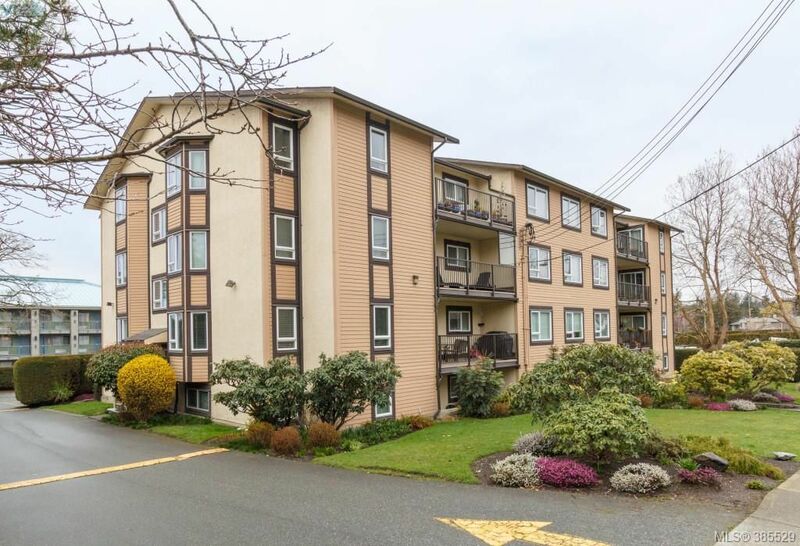 "My husband and I are so very blessed to be introduced to Mikaila to sell our condo in Victoria. She is very professional, personable, efficient and responsive. Our transaction went very smoothly and we are so very pleased with the whole experience. Great job Mikaila!" "Mikaila helped my parents and I purchase our first investment property, a beautiful brand new 1 bedroom condo in downtown Victoria's historic Chinatown district. Mikaila is exceedingly organized, prepared, and intuitive. She provided us with numerous options that fit our needs, and showed us five units under a tight timeline while I was in town for the holidays. Mikaila is efficient, effective, and well connected. She coordinated all aspects of the sale seamlessly. I have recommended Mikaila to both friends and family looking to buy and sell in the Victoria area." "Mikaila helped us purchase the perfect home for our family! Our decision to move from the mainland to Victoria was a little daunting, but Mikaila was able to make the experience stress free and fun! She helped show us around some neighborhoods of Victoria before we decided on the area that worked best for us. We were then able to find a place that checked all of our boxes! Mikaila possesses a high level of professionalism, is hard working and very determined. She was a pleasure to work with as she is very personable, warm and kind! Thank you Mikaila for doing such an amazing job! We couldn’t have hoped for a better experience and we will look forward to working with you again when we buy a property in the future." "From our first interaction with Mikaila we really liked her enthusiasm and knowledge of the Victoria housing market. She is extremely professional and goes above and beyond what you would normally expect from a realtor. Being from out of town, she made the process of purchasing our condo as smooth and simple as possible. We really appreciated her diligence, detailed communication and information that she shared with us every step of the way. She basically thought of every little detail so we didn’t have to! Bravo Mikaila, we would recommend your services to anyone who is looking for a hard-working, detail orientated, professional realtor in Victoria." "I have bought and sold a number of homes over the years in different countries, and I can honestly say, Mikaila has by far been the best Realtor I have worked with. 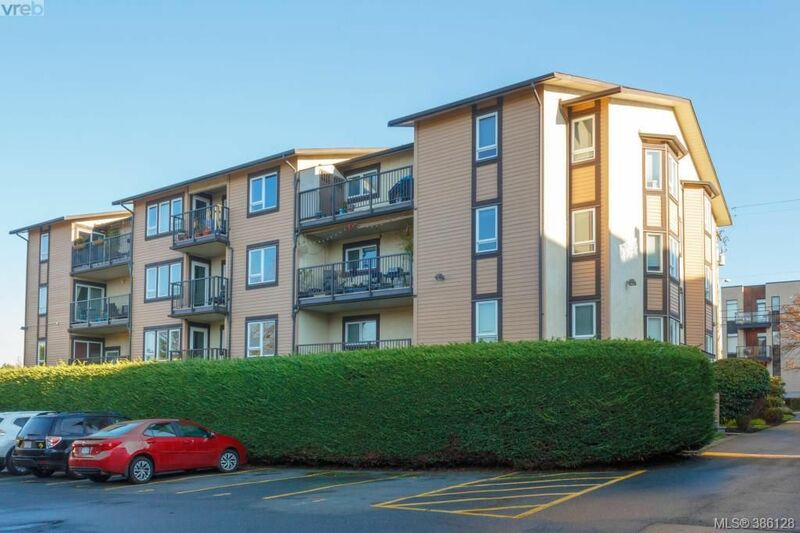 I had a very short window in which I had hoped to find a condo in Victoria with very specific criteria. Within a month we found the perfect place and moved in, despite the complex nature of the type of property purchased. With my limited knowledge of the city, Mikaila's wealth of information about Victoria, including anything from bus routes to UVic (including schedules!) and where to find the best gluten free food, was a real gift. Mikaila went beyond any expectations I would have of a Realtor. She was more than willing to research the answers to the many questions I had, linked me up with other professionals I needed, and met on her own accord on several occasions with the property manager to advocate for my best interest in details such as parking and storage. She even graciously stepped in when I was not able my appointment to get my locks changed! Mikaila was always a step ahead to ensure a smooth and time process - not missing a detail. I am enormously grateful for her recommendations and thoroughness in drawing up the offer and how professionally and calmly she handled the offer process - even after I threw in a few curve-balls in the last minute!!! ... Do yourself a favour and engage Mikaila for your purchase or sale. You will undoubtedly, like me, really appreciate the enormous value of having a Realtor who clearly is committed to providing excellence in service to her client and have an experience that will keep a smile on your face. Her "glass half full" attitude and infectious exuberant energy made this purchase experience a real joy. Thank you Mikaila and my sincere best wishes for enormous success in your career. I look forward to working with you again when I buy or sell a property again, and, seeing you on Victoria's top Realtors list very soon." "Mikaila guided me through the process of buying my first home which went very smoothly. She was very sweet, professional and personable, it was a pleasure working with her and would highly recommend her expertise." "Was it serendipity or fate that allowed us to meet Mikaila Almond that afternoon? Whatever the reason, we found ourselves having a valid discussion about the property that we were looking at. Further conversation led us to the decision that we wanted Mikaila to be our local agent to help us with our continued search. As it was close to Christmas, we thought we would have difficulty finding a property. We were also aware that Mikaila did not have a lot of experience but her positive personality and enthusiasm were the immediate reasons that we chose her to help us. We would quickly learn that she also has a very organized, indomitable work ethic. We ended up seeing many properties of varying kinds over the next eight or so days. Mikaila was very accommodating to our requests for specific property types and locations. She set up a ‘client portal’ for us to access information on specific properties, based on our needs and requests. This process worked extremely well for us as it provided quick turnarounds allowing us to include or exclude specific properties very quickly. Mikaila was able to quickly understand our personalities and sensibilities, with the happy outcome that from our initial viewing, to repeat viewings of our top properties, we were able to close a deal in nine days. I was a Senior Sales Manager for a multi-national corporation for 30+ years. I interviewed, hired and trained literally hundreds of sales reps over that time frame. I would say that over those many years I was able to recruit and develop perhaps only five sales reps who went on to become “Superstars”. This type of person is quite rare. I can state with a good deal of confidence that Mikaila has the potential to become one of these Superstars. I see in her the qualities which are inherent in any good sales person. Beyond that we both saw a maturity in Mikaila well beyond her years. She demonstrated an above-average level of “emotional intelligence”, customer empathy and a strong ability to listen effectively. Yes, Mikaila is young, but her passion for her job, her exuberance and her integrity will carry her successfully forward to meet many future challenges. Mikaila appears to be very well versed and on top of the almost-essential electronic tools required to be at the top of the game. It is obvious that this authentic woman is intelligent and what I would consider to be a “quick study”. We feel strongly that Mikaila is one of those individuals who, if she puts her mind to it, could probably “do anything that she wants to”. We want to stress that it has been a pleasure working with her and that your office or team should feel extremely proud to have such a positive and ebullient representative affiliated with your firm. We would highly recommend Mikaila to any of our friends or professional contacts should they wish to consider utilizing a professional realtor." "We were very pleased with Mikaila she was professional and positive, we were new to the city and she was a wealth of information. We were very specific in what we were looking for and she worked hard, taking us through many houses to find the perfect one. Thank you Mikaila, you did an outstanding job!" "We had the opportunity to engage Mikaila in the purchase of our South Oak Bay home and could not have been more pleased with Mikaila’s professionalism, excellent communication skills and work ethic. Mikaila was knowledgeable, considerate and never left a phone call, email or text unanswered. We have had occasion to work with other realtors in the past, and Mikaila’s level of effort and sticktoitiveness were, in our experience, unrivaled. We would not hesitate to recommend Mikaila; it was a pleasure working with her, and we look forward to calling on her again in the future. All our best, Mikaila." "We are writing to describe our experience working with Mikaila Almond who was key to helping us find and purchase a condominium in Oak Bay. We first met with Mikaila on one of our trips to the area in the Spring of 2015. As we were visiting from Toronto, we only had a short time to become acquainted with the real estate landscape in and around Oak Bay. We shared with Mikaila what we were hoping to find; a small condo with water view. Mikaila followed up by sending us listings conform to our wishes. There was no attempt to interest us in other properties nor was there pressure to buy. We appreciated that very much. Once we found a condo that met our criteria, Mikaila diligently researched all the information we needed regarding the selling price of similar properties and the advantages and possible drawbacks of the property we were considering. When we decided to proceed with the purchase of the condo, Mikaila provided us with helpful recommendations regarding lawyers, building inspectors, insurance brokers,..
Because we were in town for only a short time, it was necessary to go through all the steps leading up to the closing promptly but very carefully as well. This created a lot of pressure for Mikaila and we were most impressed with her ability to remain calm, steady and efficient. In summary: our experience working with Mikaila was the best of any we have had working with real estate brokers, through several moves. She proved attentive to our needs and wishes, proactive in looking for a property that would suit us, and extremely diligent in doing all the necessary research and paperwork. We couldn’t have asked for someone more generous of her time and intent on doing her best for us. It was a delight to work with Mikaila." "Mikaila is an absolute pleasure to work with. We had a fairly complicated deal, which we were aware of going in, and Mikaila coordinated it all in a calm, collected, and deliberate manner. We really appreciated her professionalism and personability, and could not be happier with the house she found for us. Would highly recommend Mikaila to anyone looking for a home!" "Mikaila assisted my family with the sale of our condo and purchase of our home. During the purchase process she went above and beyond for us, providing information and documentation that I was not expecting to receive; she took it on her own accord to "dig" through historical archives ensuring I was protected with all the info I needed prior to subject removals. Mikaila is knowledgeable for all areas in the Greater Victoria region, is extremely thorough ~ dots her 'i's' and crosses her 't's', and is very professional. If you need a realtor who gets it done the right way, Mikaila is your choice." "Mikaila listed my condo, which sold in one day! She was very professional, knowledgeable & prepared. She is also lovely, & very personable. I would highly recommend her services! Thanks, Mikaila." "Mikaila and her associate, Andrew, helped us to find our first home in Victoria (and Canada!). They were a great team to work with! Mikaila was always very prepared at every showing and ready with property specs for any questions we had. She was on top of new listings and always let us know if something popped up that might work for us. I would certainly recommend Mikaila and Andrew to a friend!" "Mikaila did an outstanding job in finding us our first home. It felt like she was never unavailable, and her advice and knowledge of the market helped us meet our requirements within our budget." "Mikaila helped us with the purchase of a condo at the Janion. Her work with the developer helped us get a great unit. Since taking possession Mikaila has been very helpful dealing with the any issue that has come up."